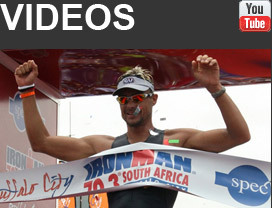 Are you participating in IMSA or the 70.3 in East London for the first time? Why not book Raynard as your personal guide in the week leading up to the race. With 3 Ironman South Africa titles, including his record-breaking performance in 2011, and 2 wins at the 70.3, who better to guide you through your own Ironman challenge. Including swims, rides and runs on the route with Raynard, advise on how to site ( in the swim), pace yourself, race expectations and much more, in all disciplines.